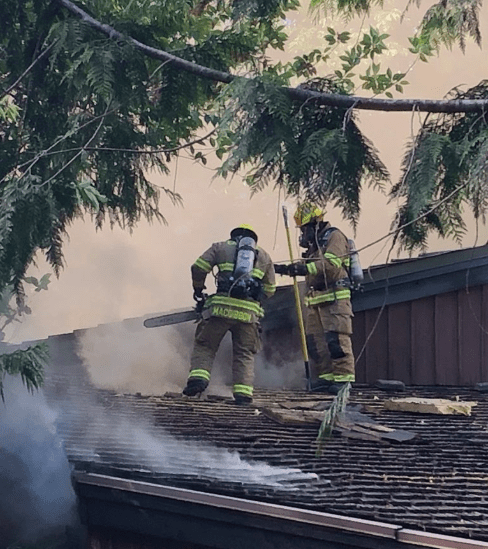 Multiple fire departments responded to a house fire near Twin Falls Middle School Sunday afternoon, spending hours locating and knocking down the spreading paths of fire at large home located on a secluded property. 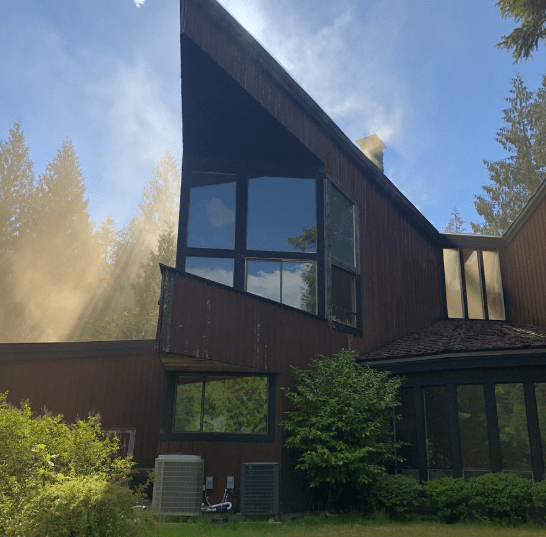 Eastside Fire & Rescue (E87) was first on the scene near 468th and SE Middle Fork Road around 4PM, June 17th. They reported via social media that all residents were out of the home and there was moderate fire involvement. Bellevue, Fall City and Snoqualmie firefighters also assisted. Due to the long driveway required to access the home, tender trucks were required for water supply. 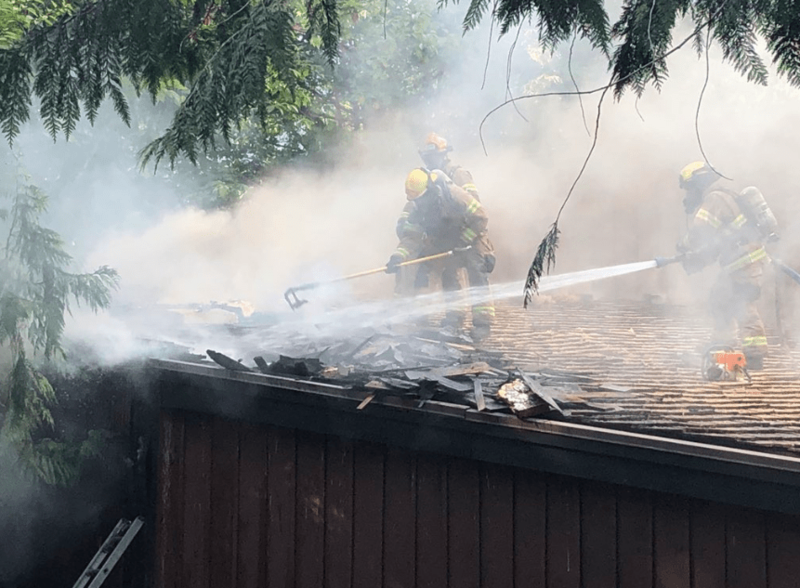 EF&R reported that the fire began in the home’s basement and worked its way up an outside wall and into the attic, adding that it was a stubborn fire due to all the paths it took. Crews were still on scene as of 7:15PM Sunday, ensuring the fire was completely out. The cause was not released.